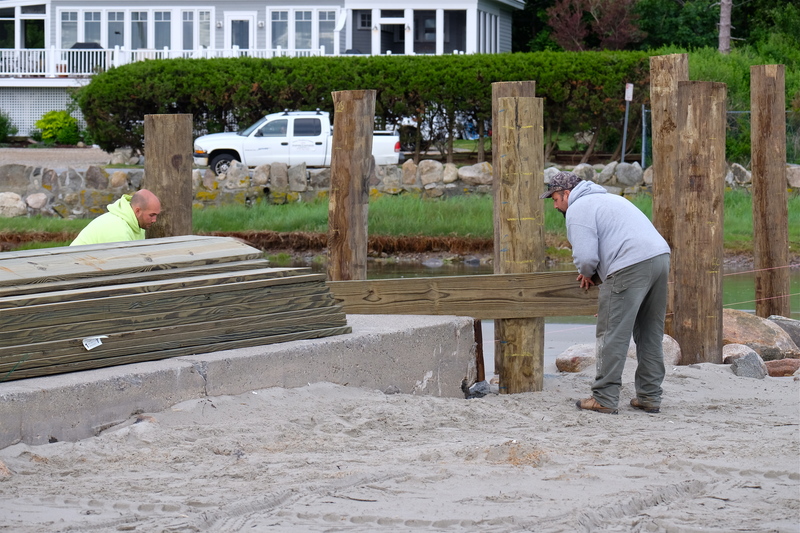 BREAKING: FOOTBRIDGE TEMPORARY BRIDGE CONSTRUCTION UNDERWAY! 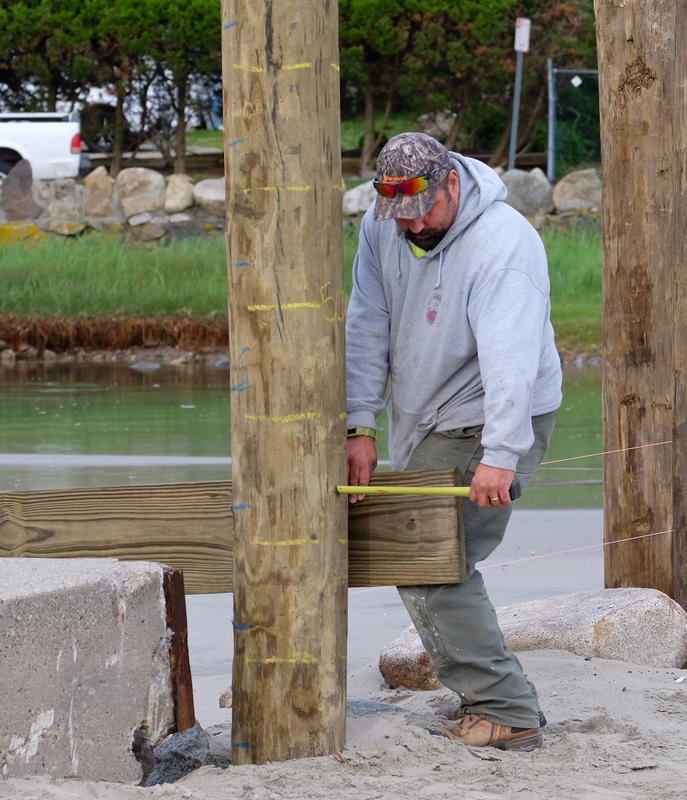 Gloucester’s DPW Phil Cucuru and Mike Tarantino arrived at Good Harbor Beach this morning ready to work with a truckload of pressure treated marine wood. Work will continue for the next two weeks. Looks like the footbridge will be operational by Fiesta weekend! 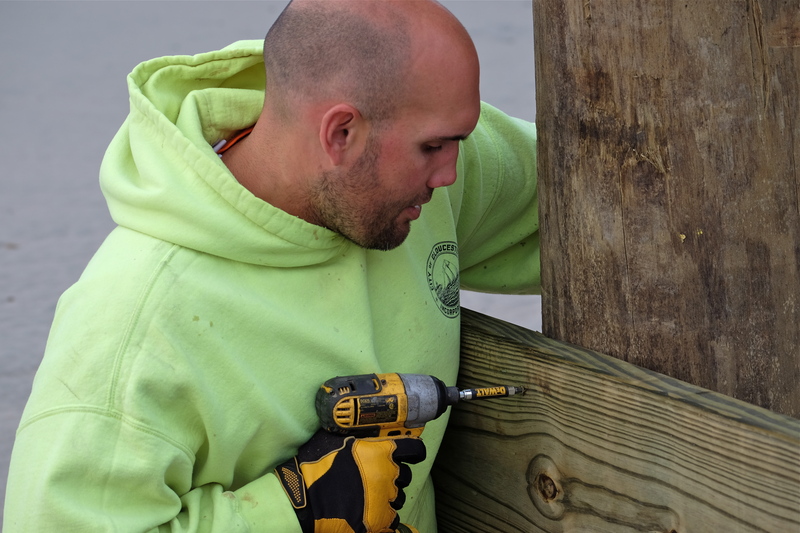 This entry was posted in Good Harbor Beach and tagged Footbridge, Gloucester DPW, Good Harbor Beach, Mike Tarantino, PHIL CUCURU, repairs on June 6, 2018 by Kim Smith.